Using the cloud brings multiple benefits, with cost-efficiency being one of the most important, as cloud providers utilize SaaS pricing model – you pay only for the resources you use. However, moving to the cloud has some hidden dangers and challenges and we will list them below. Learn what to expect and how to avoid trouble when moving your infrastructure to the cloud. Why would a business want to migrate to the cloud? The main reason is cost-efficiency. 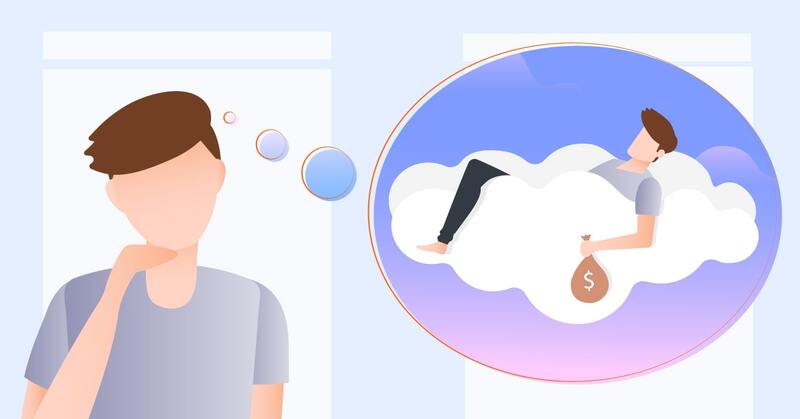 Paying to cloud service provider (CSP) only for the resources used is much more efficient than having to invest in purchasing and maintaining on-prem infrastructure. Back in 2012, Gartner reported 75% of the IT budget of many healthcare companies being spent on maintaining the internal infrastructure. In comparison, in 2015, IBM stated that moving to the cloud helped corporations and government agencies in the US save millions of dollars on hosting, the fact further confirmed by Rackspace whitepaper on the topic. However, many businesses consider the cloud insecure (and regular leaks of naked photos of celebrities prove this concern has some ground under it). However, the facts like CIA signing an overwhelming $600 million contract with AWS in 2014, or the security approval of AWS and MS Azure from the US federal government in 2016 prove the growing trust in the cloud security measures. Compliance requirements should also be kept in mind, as multiple regulations demand personal data to be kept domestic, so it should not be stored or processed abroad. Listed below are the mistakes of moving to the cloud your business should avoid. Considering the transition of legacy infrastructure and data to cloud a simple task. There is no simple way of accomplishing this, and several approaches exist. Some CSPs offer specialized server-mount portable storage devices (like Amazon Snowball or Google Cloud Transfer Appliance) for transferring up to 480 TB of data to their cloud data centers (by shipping via FedEx). But this does not solve the legacy infrastructure problems, which sometimes means a complete replacement during the transition is better than attempts to rectify the existing issues.Quite often, enterprises go for moving some of their infrastructure and processes to the cloud and leaving the rest on-prem, thus forming hybrid cloud systems. This is the most secure of three cloud computing models, but it is also the most time- and money-consuming one. The other approach is transitioning the data to a clean cloud platform while trying to improve the infrastructure on the go. This helps correct the long-term legacy infrastructure problems, but requires significant downtime for creating the data dumps of the existing system condition, reorganizing the data, containerization with Docker and uploading it to the cloud. Neglecting the adjustments to company workflow and culture. The processes and workflows in the cloud run differently, so the whole corporate culture should be adjusted. New authorization rules and DevOps software delivery practices should be in place as soon as possible to leverage the full potential of cloud hosting. Your IT department should be prepared to begin working in a dockerized environment and operating containers. If they currently lack such expertise, hiring a contractor to carry out the transition and provide training to in-house talents would be a wise choice. Going for the most popular CSP, not the perfect for your business. Each company has certain unique requirements and processes in place, so there is no one-size-fits-all cloud solution. The choice can seem quite obvious, as Amazon, Google Cloud and MS Azure are the most prominent players on the market. 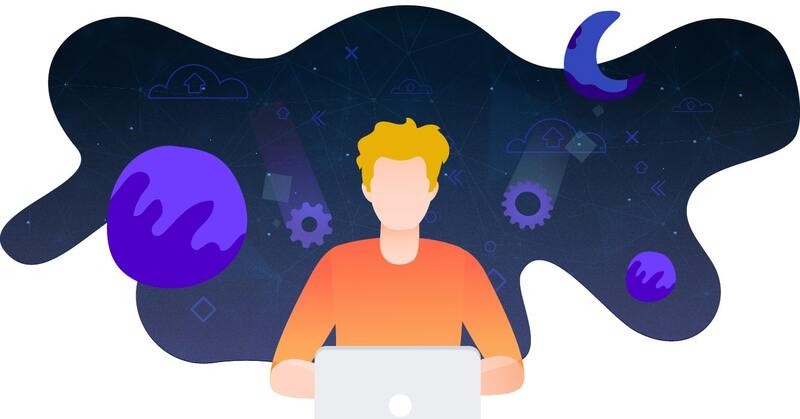 However, many companies and corporations worldwide, like the Chinese online shopping giant Alibaba, one of the pillars of IT industry – IBM, and many more offer SaaS, PaaS and IaaS services. 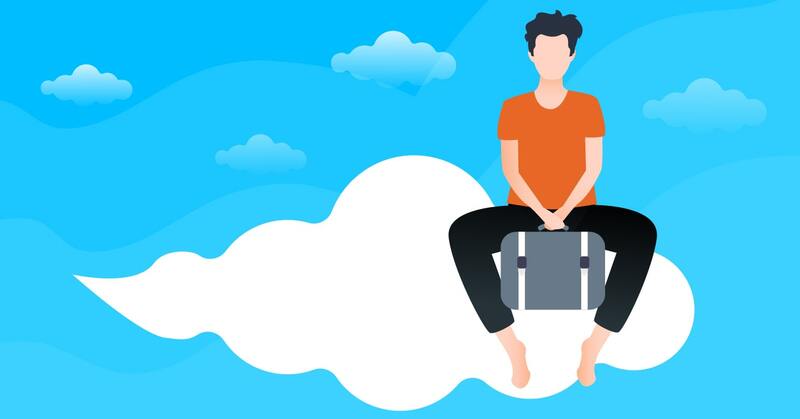 Choosing the right one can be a tough call, so going for a multi-cloud strategy can be hugely beneficial to ensure smooth transition to the cloud for your business. RIsking CSP lock-in. Various cloud service providers use differing data structure and internal data handling processes. This makes moving to another CSP almost as hard and costly as the initial transition to the cloud. This situation should be avoided at all costs, and can be dealt with by using a cloud-agnostic configuration management tool that allows easy portability of your data, apps and APIs between various clouds, like Terraform. Another point to pay attention to is the possible need to swap a provider before the end of the contract. In order to make this as swift and painless as possible, a business must pay attention to the details of their contract and negotiate the suitable terms beforehand. The devil is in the details, you know. Not re-deploying the IT department efforts. One of the most discussed concerns when moving the business infrastructure to the cloud sounds like this: “What do I do with my IT department, will I have to fire them?” No! Simply retrain and reallocate them! As TechRepublic reports, moving to the cloud frees up your IT department experts from mundane tasks and helps you direct these resources to adding more actual value to your business. Your team will simply not have to worry about the hardware-related layer of tasks. Besides, you will still need people to manage the software ecosystem and ensure its security, so your IT department will simply become a much more efficient tool. Thus said, the process of cloud migration is a long and tricky one, especially for enterprise businesses with complex legacy infrastructure. It demands adjusting the existing workflows and practices, carefully considering the providers’ offers and terms of services, rebuilding the software delivery pipeline and retraining/reallocating your IT team’s efforts. However, all of these challenges can be dealt with, when working with a reliable integrator that has ample experience with moving the infrastructure to the cloud and helping increase your business performance, while drastically reducing the costs. If you find this article useful, please share it with your friends! If you have any questions or suggestions — please drop us a line in the comments!